It might be time to start evaluating whether major banks are the right place to keep your money. Why, you might ask? Now, they are being investigated by the U.S. Labor Department for unethical (maybe even illegal) 401(k) practices. The department reportedly launched a probe into whether the bank is encouraging people to change from lower-cost 401(k) plans to more costly individual retirement accounts, the Journal said, citing a person familiar with the inquiry. The investigation also explores whether the bank’s retirement unit pushed customers to opt into funds managed by Wells Fargo, which would mean more revenue for the bank, according to the report. It’s obvious Wells Fargo, who has switched a good portion of top management and their board of directors, hasn’t learned their lesson. Plus, not a single executive has been rightly reprimanded yet. With Banks Like Wells Fargo, Who Needs Enemies? A review of certain activities within Wealth and Investment Management (WIM) being conducted by the Board, in response to inquiries from federal government agencies, is assessing whether there have been inappropriate referrals or recommendations, including with respect to rollovers for 401(k) plan participants, certain alternative investments, or referrals of brokerage customers to the Company’s investment and fiduciary services business. This blasé attempt to explain their position with little to no accountability seems to be par for the course at the bank. 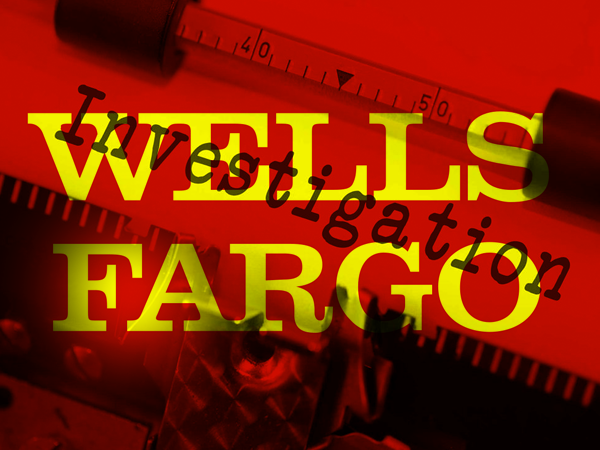 For example, pick any of the recent scandals that Wells Fargo is involved in. Any one of them should have resulted in severe consequences beyond a single fine and some loan restrictions. But, nope. Not a single executive has been severely disciplined. The one most under-scrutiny landed a $67 million severance package before leaving in 2016. The current CEO also inked a 35% pay increase amid lowering stock prices and poor performance across the board. But don’t pull your money out of Wells Fargo and open an account at another major bank just yet. JP Morgan Chase is involved in many of the tens of thousands of legal proceedings it was involved with back in 2011. Many for unethical practices on par with robo-signing foreclosure notices without investigating underlying circumstances. Chase has also been hit with a $1.42 billion fine of its own from a 2008 lawsuit involving Lehman Bros.
And the FDIC is suing Bank of America for underreporting a key metric that would have altered the risk level for the bank. The bank has also been sued for charging unlawful interest rates disguised as overdraft fees on consumer checking accounts. Nearly every single major bank has been caught violating lending regulations, manipulating their “books,” fixing interest rates etc. And every single state in the Union is involved, with each Attorney General investigating shady mortgage practices at large banks. If you robbed a bank, you’d be wearing orange for a 10-20 year stint. But if a big bank robs you, it seems like they get off scot-free. That, or they ask for a “Big Bailout” and get it — at your expense. And while it might feel like “going all cash” and moving out to a cabin in the woods could be a solution, a safer and more practical solution is to put some of your wealth into precious metals like gold and silver. Big Banks are becoming riskier places to hold money, but precious metals are a form of security that could help protect your hard-earned savings and future retirement.